Life in Saudi Arabia will look very different by the end of 2018. The kingdom is pushing ahead with an economic overhaul aimed at ending what Crown Prince Mohammed bin Salman once called its "addiction" to oil. Change is now coming thick and fast, and several major reforms announced since bin Salman unveiled his Vision 2030 in 2016 will take effect this year. "Many Saudi government shifts... have been a long time coming," said Sam Blatteis, CEO of The MENA Catalysts, a regional public policy advisory firm. "Reforming an economy as large as Saudi Arabia is almost like moving an aircraft carrier. It's probably not wise to make quick turns," he added. Saudis have just started paying a lot more for gas. State-owned Aramco, the world's biggest oil producer, jacked up prices at the pump by as much as 127% on January 1. Premium gasoline now costs 2.04 riyals per liter -- equivalent to about $2.05 a gallon. "Though this could weaken consumption, this was expected and should reaffirm the government's resolve to driving the growth of the non-oil economy," said Riyadh-based Al Rajhi Capital in a report. Saudis are also paying more for most consumer goods and services. A new 5% sales tax took effect on January 1, part of an effort to boost government revenues from sources other than oil. Saudis will get to go to the movies. After a 35-year ban, the government will begin granting commercial movie theater licenses this year, and it expects the first cinemas to open their doors in March. International and regional chains are already eying opportunities in the new market of 30 million people. AMC (AMC) CEO Adam Aron told CNNMoney that the movie market in the kingdom could be worth $1 billion. A long-standing ban on women driving will finally be lifted in June. The announcement followed a royal decree in September. Many women campaigned for the right to drive for years and some have been arrested for defying the ban. The move is expected to spur growth and give women a much bigger role in the economy. Only 22% of women are active in the workforce. Vision 2030 aims to lift that to 30%. The government has set itself the target of generating 65% of GDP from the private sector, and getting more women into work is key. Women will be allowed into three stadiums in major cities. The General Sport Authority, the country's governing body for sports, said in October that three of the country's biggest stadiums will begin "accommodating families" early in the year. Saudi men and women are customarily separated in public places. But that restriction is also slowly being relaxed. Men and women were able to sit together at several music concerts and events in 2017. "The most notable reforms [this year] will involve advancing women's rights," said Salman Al-Ansari, president of the Saudi American Public Relation Affairs Committee. "In fact, I wouldn't be surprised at all if we see the appointment of a Saudi woman to a ministerial position." Tourists will be able to visit Saudi Arabia for the first time. 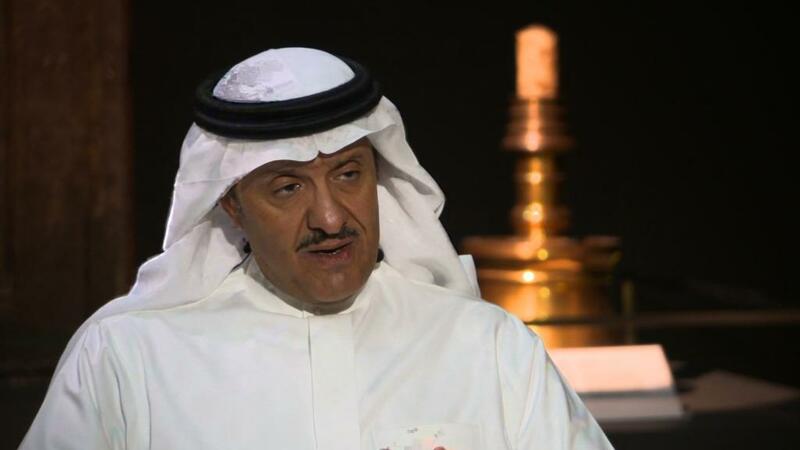 Prince Sultan bin Salman, head of the Saudi tourism and national heritage commission, told CNNMoney's Richard Quest that the kingdom would issue its first tourist visas in 2018. Visas were previously restricted to people traveling to the country for work or to visit its holy sites. The kingdom has ambitious plans to grow its tourism industry. It has already announced several projects, including one to build a series of resorts on about 100 miles of the Red Sea's sandy coastline. It is aiming to attract 30 million visitors a year by 2030, up from 18 million in 2016. Saudi officials have repeatedly stated that they're planning to sell a small stake in Aramco in 2018. If it happens, the sale is expected to be the biggest stock market listing in history. Officials have said they expect an initial public offering to value Aramco at around $2 trillion. If the market agrees, selling just 5% would raise $100 billion. Apart from the exact timing and size of the IPO, Saudi Arabia still has to decide where to list Aramco. It's also reportedly keeping open the option of selling a stake to a strategic investor first.